I commented earlier but I’m not sure if it posted. I love to garden and feel close to the Lord when doing so. I loved your post today thank-you. This is a great post. I love to garden and I feel that I’m passionate about it. I feel close to the Lord when I’m outside working in my garden. I enjoyed this post today, thank-you. Ohhh…you are absolutely right! There is nothing better than homegrown veggies and flowers!!! We keep saying that we’re going to put in a garden and then we never do because of summer vacation time and not being around to tend to it! I would love a few tomato plants…nothing like fresh homegrown tomatoes!!! I really enjoyed the scriptures that you included at the beginning of your post, Christi!!! Also really enjoyed reading the “Garden Wisdom”…great words to live by!!! 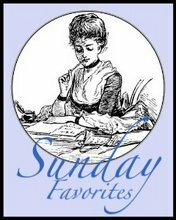 Thank you so much for sharing this lovely post with us for Sunday Favorites this week, Darlin’! I do apologize at being so late to get by for a visit but we had such beautiful weather yesterday that I ended up spending most of the day outside…just soaking up the sun! I guess that Spring fever got the best of me…hehe! What a lovely post…garden time already!! Not in the upper midwest yet, but our daffodils and tulips are starting to green up and bud. Love the garden wisdom! Thanks for sharing this with us……..
It’s so true. Nothing is better than home grown veggies, unless it’s chocolate of course. lol Has anyone tried to grow dark chocolate? I love gardens, and enjoyed so much being in the Garden of Gethsemane back in 1978. I would love to go there again. That was lovely! 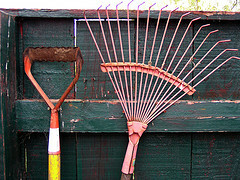 I enjoyed reading the Gardening Wisdom..it was thought provoking. Thank you for sharing. Perfect time to read that before I go out to work in the garden. I do my best thinking out there and can really mull this one over. ‘Tis that season, huh? I live in a rental house and have to have a potted garden. A little early for that, yet- but, I did get out yesterday to prune, pull weeds and mow. I love being outdoors. I feel so close to God surrounded in the beauty of nature.